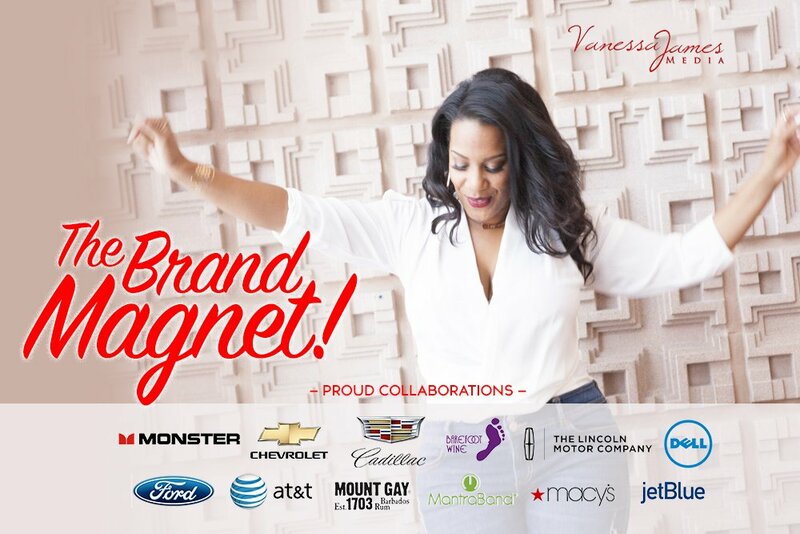 Vanessa, how do you work with such awesome brands like Cadillac, DELL, Monster Products and IHeartMedia? Vanessa how long does it take to connect with a brand and actually spur up conversation and then business? Vanessa, when you work with a brand, are you exclusive to them or can you still work with others in the same category? These are just some of the repeat questions that I get asked about working with prestigious brands. I’ve developed a great passion for entrepreneurship, digital and social media since launching VJMedia in 2010 and with that I’ve had the privilege of working with amazing companies in Auto, Tech, Culture and Travel. With just over five years in as a proud entrepreneur, I’ve learned some very valuable lessons on brand development of my own business and how to work with the top company’s in the world. So let me share some of that wisdom with you. Below is a video from my #ASKVJ Series (Which you should also check out) that answers a few of the questions above. What is my brand message and is it in line with theirs? What is it that I really want and is this something they offer already? Is there a service or niche that I can provide to them? How long would you like your campaign with them to be? Whether it be for a one off event, a social media partnership or event sponsorship, brand synergies should always be a mixed bag of opportunity. I always make sure to deliver a 360° promotion regardless of what is being offered. Finally, always remember to over-deliver! Polished, timely, professional and concise work will never go out of style. That’s the trick; once you deliver quality, they’ll always come back to you for that service or more! Brand relationships are much like personal ones, remember that the people behind these giant corporations are much like you and me, so treat them so. How to get into the voiceover industry? How to build a successful small business? Wishing you success in 2016! Thanks for being apart of the VJMedia journey and I hope these small nuggets of wisdom help you along the way! Great clip Vanessa. Nice meeting you at cricket. Thank you and lovely to meet you too George!